What do you do with your old coats that you don't use any longer? If you're like most of us, they stay in your closet, or get moved to your attic, and are never seen again. Why not donate them? 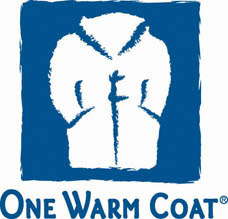 The One Warm Coat organization is holding a used coat drive right now. If you'd like to donate your used coats, just contact us, we'll arrange for pickup and make sure they get to the people that need them. or visit the One Warm Coat website.